The work of the MSA is designed to support career development, both for individuals and for their employers. In many cases one MSQ (Maritime Studies Qualification) leads neatly on to another at the next level. Most are designed with shared Units so that if someone has learnt, for example, basic navigation skills in one context they will not need to go over that ground again if they move to another part of the maritime sector (though, of course, the practical application of that core knowledge will be different). The MSA is promoting the concept of "No Wrong Door": No matter which door someone tries when they first seek information about careers in the maritime sector, they leave with a positive impression about us, and at least one step closer to getting the information they seek. Will you join us? 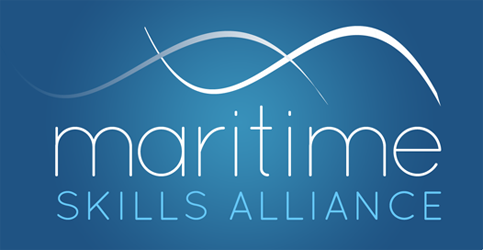 The careers pages on the Maritime UK website offer a good introduction to the range of careers available across the maritime sector, with links in each case so you can find out more. Seafarers UK has an interesting range of profiles of people working in the maritime sector. Please note however that we are not a recruitment agency: we cannot help you to find a job. IMarEST, the professional body for marine engineers, has a wide range of information and resources on its Sea Your Future web pages. For the naval engineering sector - ie the many companies which build and support Royal Navy ships - see the Career Map and supporting information on the UKNEST site. "Rewarding, varied and fun" - Port of London Authority apprentices present their apprenticeship. There's a wealth of information on the Society of Underwater Technology's Oceans of Opportunity web pages. And a three-day careers fair featuring the ocean technology and marine science sectors at the Ocean Business conference in Southampton, 9-11 April 2019. We regret that we are unable to provide either career advice to individuals, or speakers for schools. For the latter, we recommend you to follow the links in the Careers At Sea website.